“You can’t handle the truth!” The 4-time Oscar-nominated drama from which that famous quote is from will soon be available for wide release on Ultra HD Blu-ray. 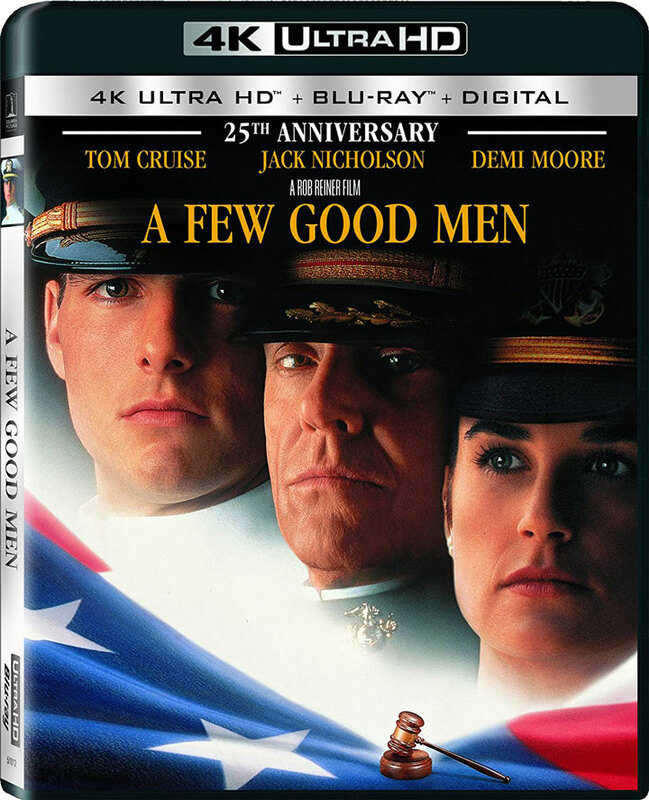 A Few Good Men, previously released as a Best Buy exclusive, will start shipping from Amazon and other retailers on April 24, 2018. The film was remastered for release on 4k Blu-ray with 2160p resolution and High Dynamic Range via HDR10. The soundtrack is provided in English Dolby Atmos compatible with Dolby TrueHD 7.1. Special features include commentary from director Rob Reiner (available on both the Blu-ray and 4k Blu-ray), the documentary: Code Of Conduct, featuring interviews with Rob Reiner, Aaron Sorkin and cast members (Blu-ray only), From Stage to Screen with Aaron Sorkin and Rob Reiner (Blu-ray only), and more. The 4k Blu-ray edition also comes with an extra Blu-ray disc and Digital Copy, that will likely only redeem in Digital HD, not UHD). The film boasts a stellar cast including Tom Cruise, Jack Nicholson, Demi Moore, Kevin Bacon, Kiefer Sutherland, Kevin Pollak, James Marshall, and J.T. Walsh.